Adding a new website to your hosting account is very simple and can be done with just a few clicks! 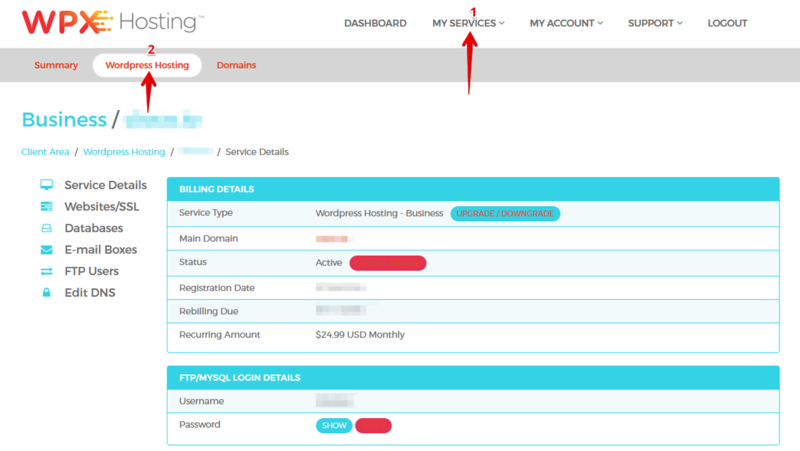 To start, you must first log in to our website, then go to My Services (1) -> WordPress Hosting (2) -> Manage All Sites In This Account. Once you're there, choose the Websites/SSL section in the left menu. You'll be taken to a page where you can see, manage, and add new websites to your account. All you have to do is click on + Add New Website and fill in the required information. From there, you can add new top-level domains, sub-domains, and aliases. Simply fill in the domain information for the new website and click Create Website. That's it! Visit also WPX YouTube channel(and our customer's reviews here). Check out which hosting is the best choice according to Matt Woodward`s test. How to make your WP blog faster.